It is estimated that around 100 million Americans are chronic pain sufferers. And a quick stroll into your local pharmacy’s extensive pain management section will confirm this. In today’s hustle and bustle world, finding relied from pain can be as easy as popping a pill. But even the “safest” pain medication is bound to have its own share of dangers and risks if not taken properly. The danger with long term use of pain medications is that the body may become immune to its effects or worse damage vital organs such as the kidney. Some of us even go as far as self-medicate which could be dangerous even with the use of over the counter drugs. There are definitely safer and more natural ways to manage pain. These methods do not only help in controlling pain but also restores the natural balance in our body. And one little known way is by simply switching to a healthier diet. This could be done by eating a plant-based, nutrient rich diet that reduces inflammation naturally. A huge contributor to nagging chronic weight problems we see today could be traced to the Standard American Diet which has been described as one of the more inflammatory diets. Our fast food culture and salty snacks have lead to overweight, chronic pain and fatigue problems. Most of us seem to be unaware or generally unconcerned with how a typical western diet affects our health. 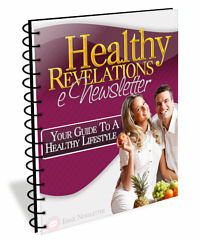 We are what we eat and most of the health problems we see today are diet or lifestyle related. Finding relief from chronic pain can be done by switching to a healthy diet. So the next time you’re planning a short trip to the pharmacy for some pain medications why not take a look into these simple tips before popping in that pill. Eat green-leafy vegetables. If there is one great reason to start going the veggie route, it’s because it helps reduce chronic pain by increasing the number of good bacteria in the gut. This area of the body is constantly exposed to toxins from food and the environment. A healthy digestive system keeps our body in tip-top shape. Nutrients from food are processed better therefore strengthening our immune system. This is also the area where 96 percent of our serotonin is produced. Serotonin is a feel-good hormone that lessens the stress of chronic pain. Cane sugar can be a good way of providing temporary relief from pain by stimulating reward centers in the brain but also increases pain levels in the long run. Sugars could set people suffering from chronic pain by 3-4 weeks. Avoid artificial sweeteners. Just because these are alternatives it does not mean that they are not likely to produce the same effects as other sugars. Margarine and other hydrogenated contain fatty acids that coat cell membranes which interfere with cellular communication. It could also lead to toxin buildup and disrupt waste removal. A body full of toxins and lactic acid increases our risk for chronic pain. Other foods that chronic pain sufferers should avoid include wheat and all its products. People should also avoid common allergens such as corn, eggs, peanuts and other dairy products. Healthy sources of essential fatty acids include avocados, walnuts, fish and flax seed oil. Anti-inflammatory fatty acids reduce symptoms of asthma and chronic pain. Build your immune and inflammatory system by strengthening it with healthy fatty acids. Stress is a major trigger for pain. This might only be psychological but it places so much pressure on our body that constant high levels of stress could lead to chronic pain. Low impact exercises such as swimming, brisk walking or yoga helps release pent-up stress. Getting enough sleep also helps the body recuperate more quickly. Get that natural high by helping your body release more endorphins, the body’s answer for pain medications. Pain is our body’s signal that something is wrong physically. Pain is a personal experience and the intensity varies from one person to another. A positive attitude helps reduce the stress of pain and lessens our need for pain relievers. When we are able to handle pain naturally, we are able to live fuller and happier lives.